Whether you need an oil change, safety inspection, or emission test-we can schedule your service to fill your needs. Whatever your auto repair needs, we have the mechanics, tools and equipment to get you back on the road. Factory Scheduled Maintenance: 30-60-90,000 mile maintenance services. Air Conditioning Service and System Repair Specialists. Brakes, Anti-Lock Brake Systems (ABS). Check Engine” light diagnosis and service. 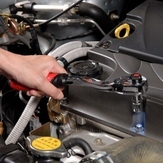 Cooling System: Radiators, Water Pumps, Coolant Flush. Computer Diagnostics & Repair: Sensors, Modules, PCM Reflash Service. 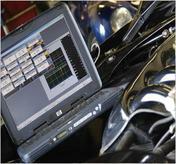 Engine and Vehicle Computer Diagnostic Service. Filters: Air, Cabin Air, Oil, Gas/Fuel, Transmission, PCV Breather. Fluid Changes:-Transmission. Fluid, Engine Coolant, Fuel Systems. Fuel Injection & Fuel Systems: Cleaning, Maintenance & Repair. 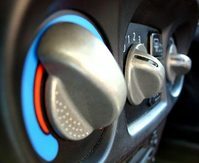 Heating System: Heater Cores, Anti-Freeze. Oil Changes: Lube Chassis Parts, New Oil Filter. Radiator & Cooling Systems Service. Smog Check Emission Testing & Repair. Shocks, Struts, Steering, Suspension, Chassis. Transmission Services: Fluid & Filter Changes.